The Johnsons: My Man is OLD! July brought a trip to Amarillo. Randon's mom's family was having their annual reunion, Randon's birthday, and Fourth of July. 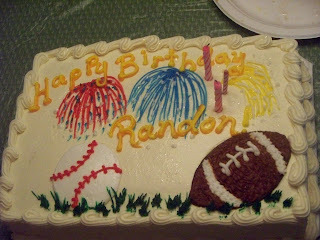 We celebrated Randon's 30th, that's right, I said THIRTY!! !, birthday. We celebrated with his family on his actual birthday, then the next day with my family. 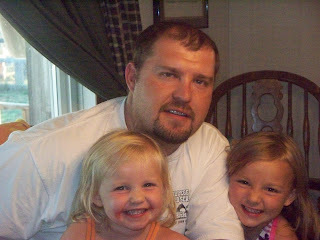 The next day was July 4th, and we shuffled back and forth between family celebrations. I headed home in the middle of the week to work, then went back. 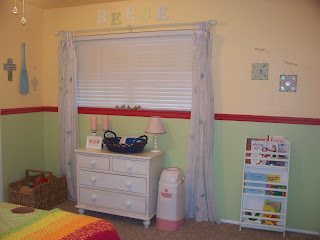 While I was home, I painted Reese's room. We moved her from a toddler bed to a full size...she has a new Big Girl Room. 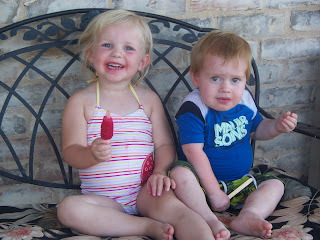 We had a great time in Amarillo swimming, fishing, golfing...it almost felt like a real vacation! 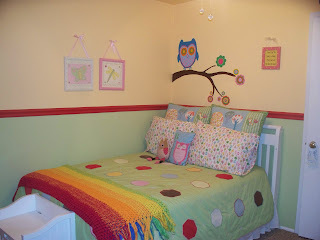 I just love this room more and more everytime I see it!! You are so gifted and you did a great job! 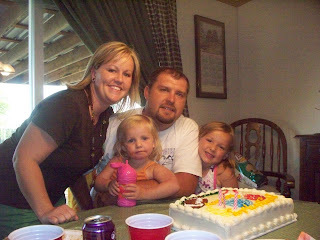 Precious pics of the fam and please tell Randon happy late late late birthday from us:) You guys are too cute!! 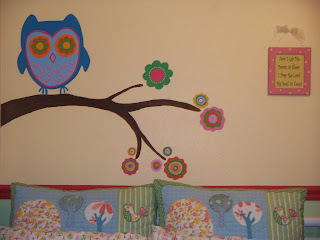 We have the same owl bedding for Olivia. 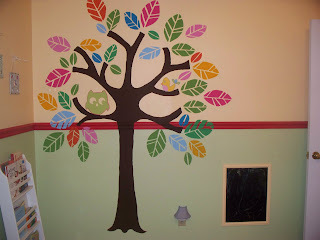 Did you order the wall stickers from Pottery Barn, or did you paint those on yourself? Very cute! I painted it all myself. It looks perfect. I would never attempt it because you wouldn't even have to ask me if I had painted it or not...it would be obvious. What a beautiful room! You are an amazing wife and mother :) You need to come to Amarillo more often - I miss you!